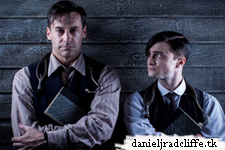 I already posted back in February that Daniel was in talks for a second series of A Young Doctor's Notebook. 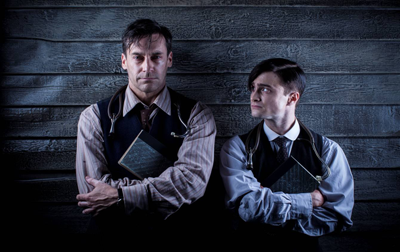 It now had been officially announced by Sky Arts that Daniel and Jon Hamm have signed on for a second series. 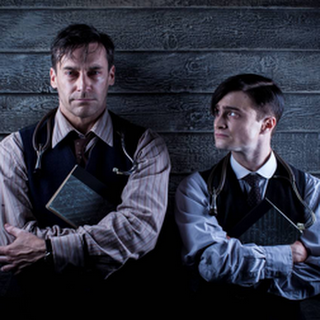 The second series called A Young Doctor's Notebook & Other Stories will be on Sky Arts 1 HD and On Demand in the UK later in 2013. "I had absolutely no hesitation in agreeing to do a second series of A Young Doctor's Notebook. I had an incredible time working with the multi talented Jon Hamm and of course am a huge fan of Mikhail Bulgakov's work and so was thrilled when I was told a second series had been commissioned. I am also greatly looking forward to working with our new director Robert McKillop and cannot wait to commence filming this summer".